Abbots Care is a leading home care agency in Berkshire the South East and our business is passionate about hiring local people, providing them with comprehensive training, and equipping them with the skills to enjoy long and successful careers. Our management team all started their own careers as care workers, meaning they have first-hand experience of the job, and an inside perspective on the challenges and rewards associated with the role. We are accredited by the Care Quality Commission, the UK Home Care Association and Skills For Care, and currently employ hundreds of care workers. If you are a Berkshire care worker, or would like to begin a rewarding career, where you can make a positive difference to people’s lives, we would love to hear from you. Abbots Care has a number of vacancies for those who are interested in becoming a Berkshire care worker. Many of these roles involve the provision of in-home care, offering support for children, the elderly, and others living with physical disabilities, learning disabilities and illnesses, including dementia. Responsibilities may, therefore, include offering personal care, practical support, companionship and help with medication. The majority of care assistant vacancies we have will focus on day shifts, although night shifts are also available. 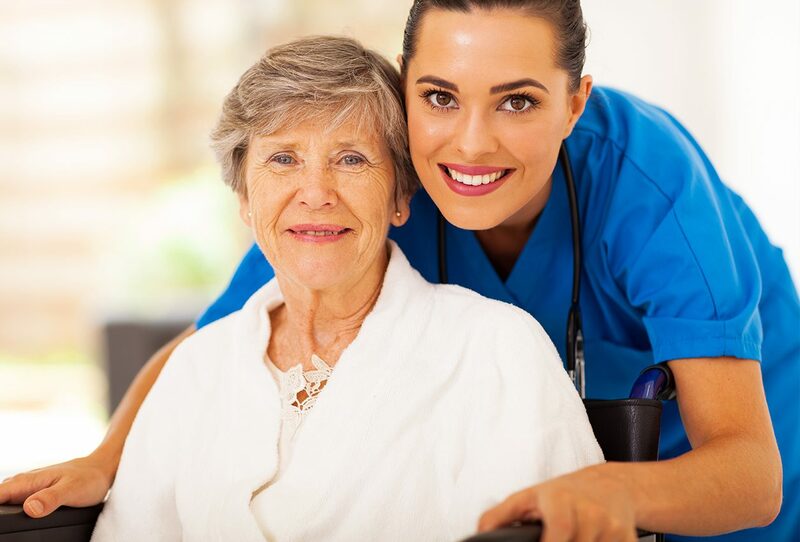 Abbots Care also employs a number of specialist care workers and senior care assistants, who may have additional responsibilities, such as assessing needs and coaching new recruits. We offer part-time roles for those who would prefer to be part of a bank of trained and flexible care assistants. This allows us to offer our service users superior continuity of care. If you have full-day availability on weekends, we even pay enhanced rates, making it a very rewarding part-time job, or a great way of earning a second income. As a major home care recruiter, we understand the importance of providing our care workers with high-quality care training. For this reason, all recruits go through a comprehensive in-house training programme, delivered by qualified nurses, social care experts and other teachers. These training classes are structured over a six-day paid induction course and will cover both the theoretical and practical elements of care work. Previous experience is not essential. At the end of the induction, you will receive a Care Certificate, compliant to the Skills For Care standards put in place by the UK government. Additionally, we offer further training programmes and opportunities to gain recognised qualifications. You can learn more about these opportunities by clicking here. Why Work for Abbots Care? Abbots Care employs hundreds of care workers, who opt to work for us for a variety of reasons. Our management team worked as care workers and so have a firm grasp of what the role entails, and we are always available to offer support. Indeed, at our head office we operate an open door policy, meaning you can always come in and chat. We invest not only in the initial induction training, but also in the continued professional development of our employees, providing clear opportunities for career progression. Furthermore, Abbots Care offers competitive pay, as well as flexible hours to suit your own individual circumstances and lifestyle. If you are interested in finding out about the various care jobs in Berkshire we can offer, check out our testimonials page to understand why our employees like working with us, as well as the reasons why our service users value the work those employees do so much. Abbots Care was founded in 1995 and our management team has more than 30 years’ worth of experience in the industry. We understand that seeking out a job as a care worker can be daunting, especially if you are changing careers, which is why we strive to always make ourselves available to help out, offer support, or lend a helping hand in any way that we can. We also take steps to help guide candidates through the application process. The care services we offer in the Berkshire region cover residents in Bracknell, Bagshot, Ascot, Wokingham and Windsor. If you are curious about the nature of the care work we provide, or are unsure about whether you would be suited for a career with Abbots Care, we also offer monthly ‘taster’ sessions, which you are welcome to attend. Finally, if you have any questions, you can contact our recruitment team on: 0330 094 5511. Abbots Care are growing and we're recruiting right now. Find out about all of our vacancies.